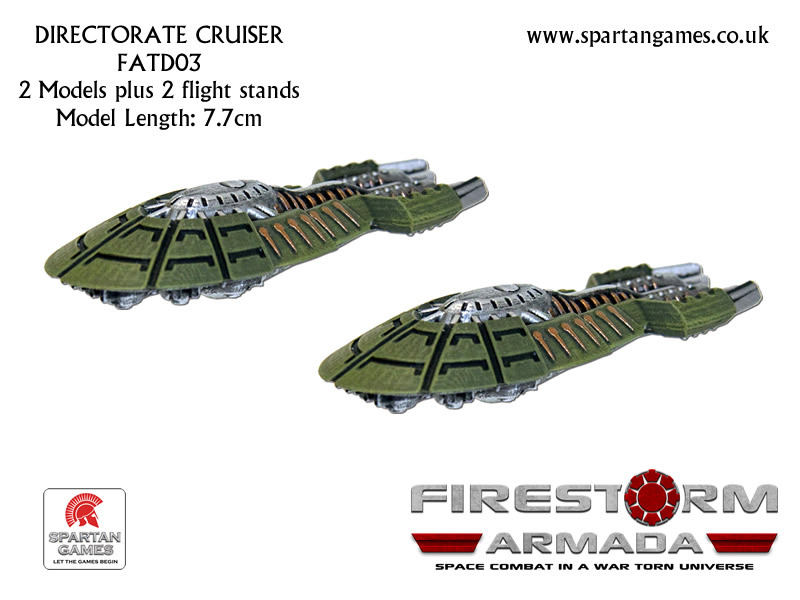 Spartan Games has released the fifth fleet for their sci-fi spaceship combat game Firestorm Armada. The Directorate is in the main rulebook but did not have any miniatures until now. Like the previous four main fleets the release includes the BB, CV, and CAs, FGs and escorts FGs. Additionally, the Directorate get a heavy cruiser along with the new HCAs for the other main fleets. Also shown are design shots of an upcoming Terran Alliance battle station that looks very nice. We got a look at the Directorate ships in person. Whether you like the design or not they are very well cast minis.